How do you define, identify and, most importantly, avoid influencer fraud? Social Chain believes it's found the answer. The social media agency has launched Like-Wise. This artificial intelligence-powered tool determines how much of an influencer's engagement is real and how much is being faked. In doing so the tool helpfully moves the conversation on from fake follower numbers to interrogate influencer engagement quality. Like-Wise purports to collect data globally from all the large data bot farms and holds a database of tens of millions of fake profiles that these apps use to fake engagement. It then scans hundreds of thousands of influencers' news feeds to see which influencers are getting engagement from these apps. 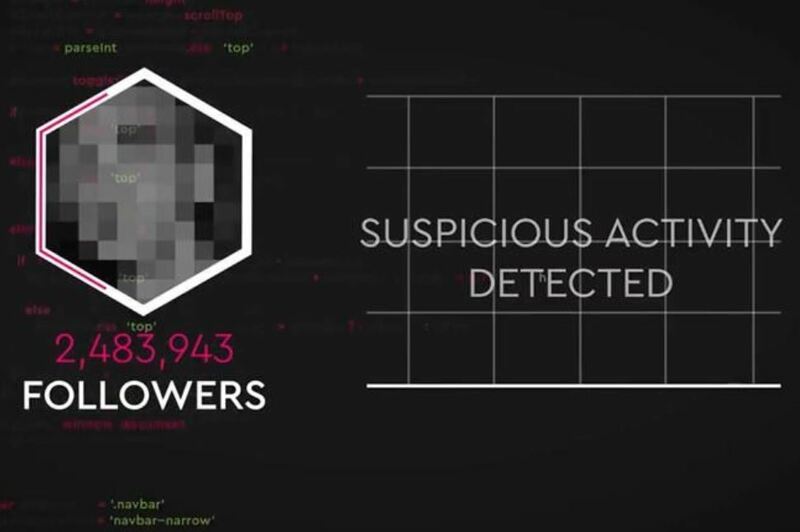 When Like-Wise identifies suspicious activity focused on a particular influencer, it uses its AI tech to benchmark their engagement over time against real, organic engagement by human beings. Social Chain used the launch of Like-Wise to make a commitment, too. In a pledge echoing the sentiment of Unilever CMO, Keith Weed’s Cannes Lion battle cry, Social Chain announced: "From now on we [social chain] will only work with influencers that are from a whitelist that shows they generate true engagement." Social Chain clients will have access to both this white list of influencers along with the agency's blacklist - influencers who heavily manipulate their engagement. Any initiative which brings to influencer marketing further transparency and heightened focus on Return on Investment is to be applauded. Trouble is: whilst the launch video was slick, slick, slick there was little substance to back up the style. Like-Wise launch video is impressively slick. But is there sufficient substance to back up the new influencer fraud tool? The opening of the video comes across like a documentary on the True Crime channel. The channel known for Deadly Women - a documentary series about female killers - and Crime 360 - which recreates crime scenes across the US - and The Devil You Know - a documentary about seemingly normal people who have deadly secrets. You get the picture. The Like-Wise launch video starts with a silhouetted man in a hoodie peering menacingly across the London cityscape. It's unclear whether this person intends to 'duff you up’ or stiff your brand through inflating his influence on a Sports Direct paid-for Instagram post. "In the next few minutes I am going to show you how and why this industry is home to one of the biggest, most elaborate widespread scams in the history of marketing," says Steven Bartlett, Social Chain’s CEO. His voice-over acts as a backdrop to influencer fraud news headlines appearing on screen. These digital clippings add further to the sense of credibility and authority the size of the influencer fraud problem demands. Social Chain says it’s dedicated six months of its global resources to building this AI tool. The technology that would be needed to develop crawlers which can access and interrogate Instagram comments is impressive. As is the ability to track engagement from bot farm to individual accounts. Social Chain isn't renowned for its development work. Perhaps a partnership has been struck and this offering is a white label? How long are influencers to be blacklisted? In perpetuity? What if an influencer bought some followers and engagement when they were starting out but haven’t indulged in the murky practice in years? Is there hope of redemption for this influencer or is she doomed never to be used by Social Chain or their clients again? What happens if an unscrupulous influencer wants to ‘nobble’ a rival influencer? Say you’re an Instagram influencer working in the fashion and style vertical. Brand collaborations for all three of your favourite sunglasses makers always go to your rivals. They tend to pick up much of the fashion accessories work, too. I can foresee instances where influencers who feel they’re missing out would be tempted to buy a stack of fake followers and fake engagement for rivals’ Instagram handles. It's a temptation to sabotage rivals and get them blacklisted. It’s easy to do. Companies such as Instaboost don’t require you to verify ownership of an account to buy fake followers and engagement on its behalf. Like-Wise, if proven, will be an asset to the influencer marketing discipline. It will help communicators identify and avoid using influencers who have bought their influence. The tool attacks influencer fraud and effective vetting of prospective influencers is a vital element of the influencer workflow. It is just one piece of the selection process which is just one piece of the influencer workflow, however. The essence of influencer marketing is to nurture long-term, mutually beneficial relationships between brand and influencer which, in turn, build trust with a target audience. This necessitates fewer, but deeper relationships being struck. As such the heavy-lifting needed to find the most appropriate influencer(s) to work with should become more sporadic. They might be achievable by hand, too, negating the need for a such a tool as Like-Wise. I hope my concerns over the whitelist and blacklist are unfounded. In researching this article I contacted Social Chain, on 8th October - the day Like-Wise was launched. I asked for a press release explaining that I would like to write about the product and mention it the following week at the Influencer Marketing Show where I was due to chair a panel on transparency, disclosure & ethics. How Like-Wise was different to Hype Auditor. How the company planned to protect influencers from being sabotaged. How regularly the tool was updated - as bots spring up every day. I didn't get any answers - just a promise of further information soon. I signed up for further information at https://www.like-wise.co/ and did get a pro-forma email from a new business team member. But checking his LinkedIn profile he appeared to be a YMCA camp counsellor in the US. I gave up.